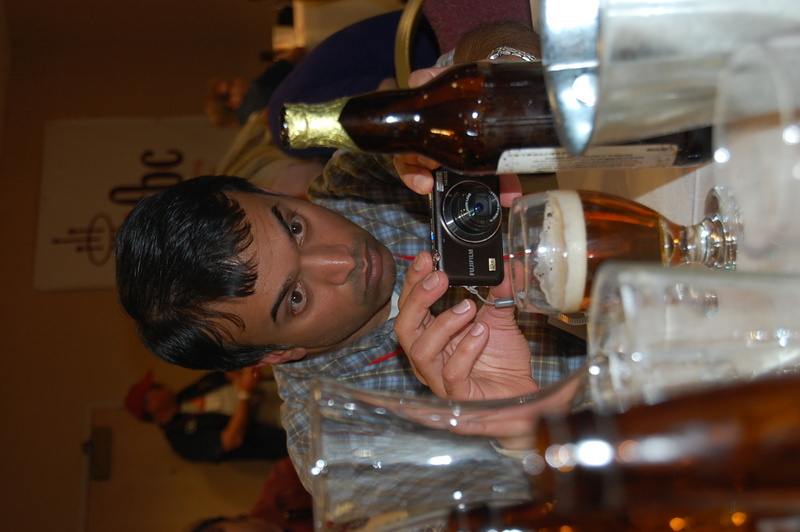 Over a hundred blogadelic beer drinkers converged on Boulder like a thirsty band of locusts Nov. 5-7. 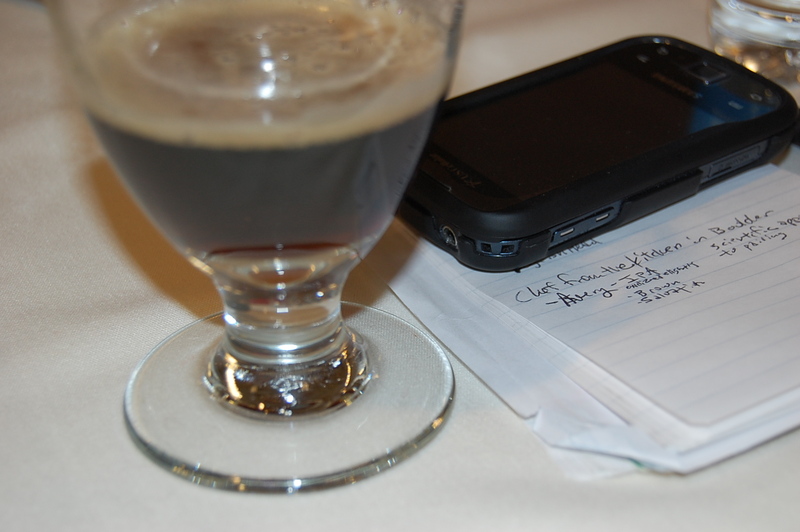 The impetus was the inaugural Beer Bloggers Conference, spearheaded by Zephyr Adventures. I’m not gonna lie. Twitter was the best I could do this past weekend. I walked in the hotel with 10 minutes to spare and didn’t stop moving moving and grooving beer until my head hit the pillow Sunday night. The conference was packed with information on both the computer side and the beer side of the beer blogging life, and being the way I am, I simply decided to ruminate and pull together a series of post-event posts. I’m not going to give you a play-by-play. You can go back and read the Twitter feed for that. I’ll just say that where the content was concerned, there was a lot to take away, and my fire has been rekindled for some of the thoughts, plans and ideas that have been floating in the back of my mind for many months. And I wish I were a little more computer-geeky to be able to more capably enact a few of them. I enjoyed hearing hearing Jay Brooks and Julia Hertz and all of the speakers, but I thought I’d stroll back to Greg Koch’s words for comment. Like everyone in the room, Koch recognizes the emerging influence of beer blogs. He encouraged bloggers to take the message of Beer Wars a step further and engage in a little investigative blogging to help expose unethical and illegal tactics found within the industry–strong arm tactics which usually put smaller breweries at a disadvantage. Having worked in the industry, I kept whispering amen, brother as Koch sited behaviors such as giving away free merchandise and free kegs of beer (after buying four, for example). While state laws vary, these actions are generally no-nos. Testing, Testing (and getting testy?) talks a little about the hassle it was to get craft beers placed from Doll Distributing out of Des Moines and Council Bluffs, Iowa. Off KILT er Experience hits on a second experience with the same distributor, one that I see picking up a few craft beer accounts only to sit on them. Information does not trickle down from the guy at the top, who signs the contracts with the brewers, down to the rep on the streets. Contrary to the norm, I found myself providing the rep with information and samples on the beers I wanted. In both of the situations mentioned above, I had to call the brewers themselves to get assistance. They were grateful for the help on the ground and both helped the slow wheels get to turning. This entry was posted on Tuesday, November 9th, 2010 at 8:51 am and is filed under beer, culture, Life, travel. You can follow any responses to this entry through the RSS 2.0 feed. You can leave a response, or trackback from your own site. Nice post, and I have to give you extra credit for coining the term “blogadelic”!